We can deliver various types of cargo to any address in the UK mainland, and we pride ourselves on the range and reliability of our service. 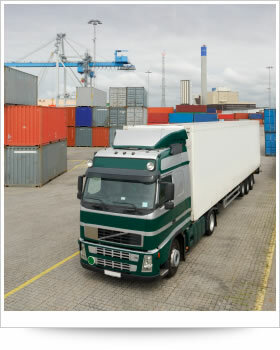 FCL (Full Container Loads) cargo transportation, both 20ft and 40ft loads. LCL (Groupage Cargo), flat bed, curtain sider and tail lift deliveries of general goods and pallets. Out of gauge, heavy-lift, and low loader transportation. As Import Agents and warehouse managers we can also manage the transportation of your goods from the point of origin right through to the final delivery destination.